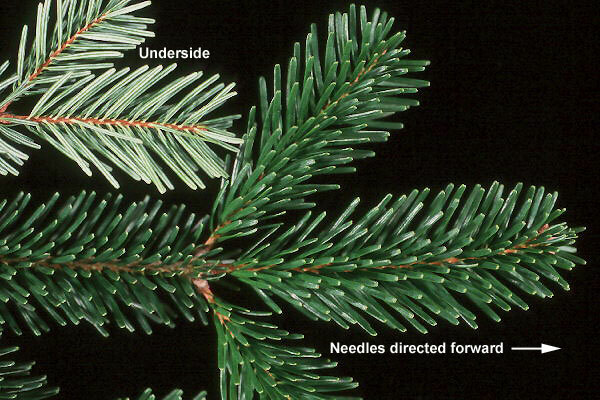 Conifer, evergreen, 40-60 ft (12-18 m), in wild 200 ft (61 m), densely branched from ground up, regularly arranged. 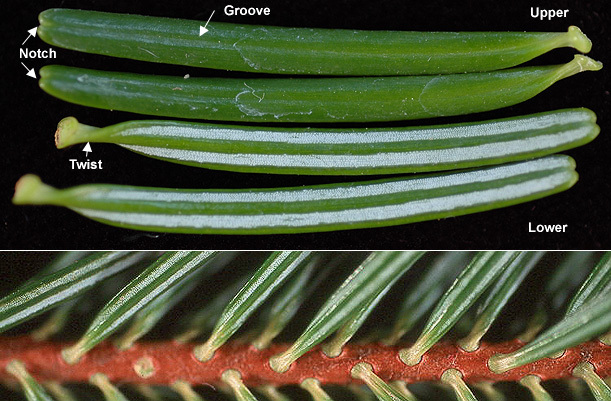 Needles dense, directed forward, 20-30 mm long, 2-2.5 mm wide, apex rounded and notched, lustrous dark green above (no stomatal lines), two white stomatal bands below. 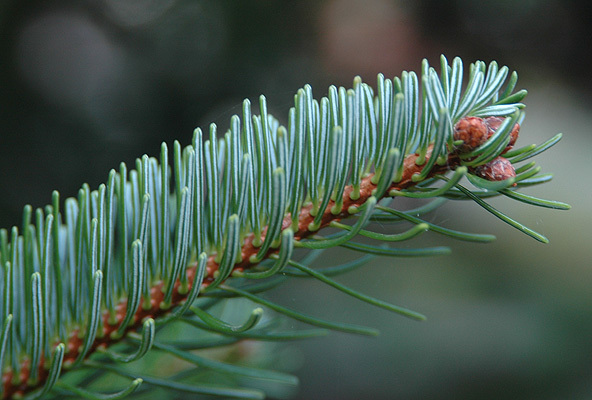 Cones 15 cm long and 5 cm wide, cylindrical. Hardy to USDA Zone 4 Native to Caucasus, Asia Minor. nordmanniana: discovered by Alexander Von Nordmann, German botanist (1803-66), who introduced it to western Europe in 1838. 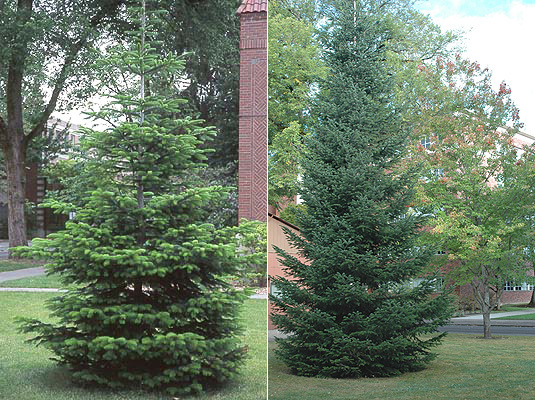 Grown commercially as a Christmas tree. 'Golden Spreader' is a dwarf, low growing selection with yellow and green foliage. Oregon State Univ. 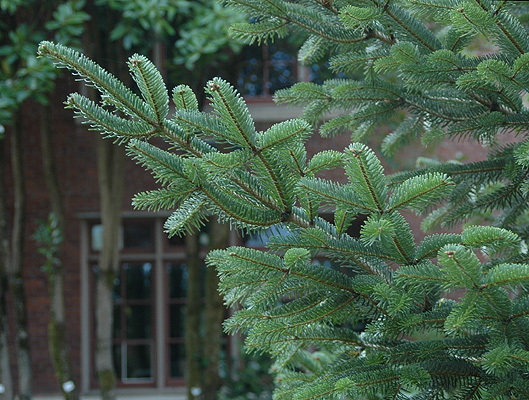 campus: north of Gilmore Hall.